Sharad Agarwal is a researcher at Microsoft Research and works on mobile systems, networking and distributed systems. His research includes wireless data traffic management, multiplayer gaming, and geo-distributed service placement. He has published many papers in international conferences and journals, and served on numerous committees. He has shipped his research systems in Microsoft products, most recently in Windows Phone 8. 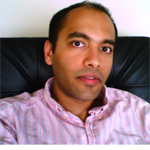 Sharad is a senior member of the ACM and IEEE. Before joining Microsoft, he spent 2 years at Sprint Labs working on Internet traffic and routing management research for his Ph.D., where some of his work was also used in the operational network. He received his Ph.D. and M.S. in Computer Science from the University of California, Berkeley. Prior to graduate school, Sharad worked in microprocessor and digital circuit design and got his B.S. 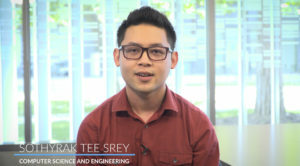 in Electrical Engineering and Computer Science, also from the University of California, Berkeley. Fred Baker is a long time Cisco Fellow with many major contributions to the IETF and networking community. He has written or edited more than 50 IETF RFCs and holds a number of US patents. He has been active in the networking and communications industry since the late seventies, working successively for CDC, Vitalink, ACC, and Cisco Systems. He contributed heavily to OSPFv2 (OSPF for IPv4) at ACC; at Cisco, Fred worked at the forefront of congestion management. More recently he has focused on the migration to IPv6, which includes issues in routing, security, privacy, and next generation deployments such as data centers. Bill Bolosky, is a principal researcher in Microsoft Research’s Distributed Systems group, with interests in storage systems, distributed systems, operating systems, and with a little genomics thrown in for spice. He has worked on a number of projects while at Microsoft, ranging from the Tiger Video Server (in the early ‘90s when that was hard), to the Farsite serverless file system, to the SIS deduplicating file store that shipped in Windows long before deduplicating storage became a hot research topic. When barely out of his teens, he worked on the Mach operating system at Carnegie-Mellon University, and well into his 40s, he decided to try his hand at gene sequencing after hearing a particularly interesting lecture. J. Bradley Chen manages the Native Client project at Google, where he has also worked on cluster performance analysis projects. Prior to joining Google, he was Director of the Performance Tools Lab in Intel's Software Products Division. Chen served on the faculty of Harvard University from 1994-1998, conducting research in operating systems, computer architecture and distributed system, and teaching a variety of related graduate and undergraduate courses. He has published widely on the subjects of systems performance and computer architecture. Dr. Chen has bachelors and masters degrees from Stanford University and a Ph.D. from Carnegie Mellon University. "CNS helps to understand the questions needed to be asked, answers to some of those questions and most importantly technology paths we should take or simply avoid." Darrin P. Johnson is a Senior Engineering Manager responsible for customer advocacy and business direction for industry standards for Oracle's systems software products. Prior to his current role, Darrin was the Sr. Manager for the OS Modernization team in Solaris. He was responsible for development and delivery of the next generation of life cycle management for Solaris including packaging, install, and system configuration/integration. Darrin has also contributed to the innovation in Solaris in the areas of network virtualization, power efficiency, performance, scalability and advanced platform support. In addition, Darrin has held various positions in management, engineering and programs management at Cray Research, Silicon Graphics, Adaptec, and Sun Microsystems. He has consistently been involved in industry standards driving adoption and representing company interests both formally and informally. Darrin holds a Bachelors of Science degree with a major in Biochemistry and Genetics and a minor in Computer Science from University of Minnesota. Darrin also received his Masters in Business Administration in 2002.